Archaeologists have discovered a 20 inch tall, white marble statue of the mythological hero Hercules, son of Zeus, dating to the second century CE. The site of the find is a pool at a former Roman bath house near where a new railroad line transversing the Jezreel Valley is to be laid. The beautifully preserved relic is naked, except for a lion skin draped over his shoulder, and depicts Hercules’ bulging muscles while leaning on a club. Though in his time, Hercules was to have been the strongest man in the world, the statue was found headless. Check out Ethan’s documentary, Refuge: Stories of the Selfhelp Home. 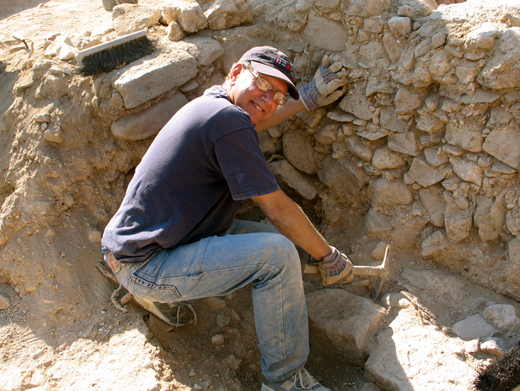 Ethan at an archaeological dig in Israel, excavating the "beaten track"
I am writing this blog to share with you my passion for Israel and to help you explore historical, biblical and cultural sights that are "off the beaten track" in this beautiful country. As you complete your visits to the main tourist attractions in Jerusalem, Tel-Aviv or Haifa, put down that Israel travel guide and join me for exciting excursions in Israel to historic and religious sites, national parks and numerous places of interest for children. The Latrun junction at Route 1, just 30 minutes from Tel-Aviv or Jerusalem, offers the visitor a number of interesting sights to explore. So today, we’ll visit a military museum and war memorial, a monastery and an important archaeological site.